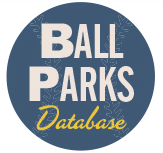 The Nineteenth Century Committee of the Society for American Baseball Research conducted its annual election to name the 19th Century Overlooked Base Ball Legend for 2011. Previous elections were won by Pete Browning (2009) and Deacon White (2010). There were seven holdovers from the 2010 ballot and three newcomers, George Gore, Paul Hines and Dickey Pearce. Both Gore and Hines appeared on the 2009 ballot. Voting took place from May 26 to June 10 with 168 committee members voting. 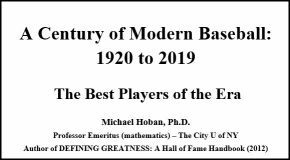 The results are in and will be announced at 3 P.M. on Friday, July 8th during the Nineteenth Century Committee’s annual business meeting at SABR 41 in Long Beach, California. The title “Father of Baseball” has been bestowed on a handful of gentlemen since the early days of our national pastime. Daniel Lucius Adams is among them. A graduate of both Yale and Harvard, Adams helped shape the game as we know it today. As a young physician in New York City, “Doc” played a form of baseball as early as 1839 and became a member of the famed Knickerbocker Base Ball Club in 1845, about a month after the club was formed. In 1846, Doc was elected vice president of the Knickerbockers and played in the famous “first” game between clubs on June 19 at Elysian Fields in Hoboken, New Jersey. The following year he was elected president of the club, a position he held for the next three years and would serve again from 1856 to 1858. In 1848, he headed the committee to revise the rules and by-laws of the Knickerbockers. As a player, Adams is credited as being the first shortstop in 1849 or 1850, first as an intermediary to receive the relay throws of the outfielders, but later moving up to the infield. The lefty batter played regularly and productively into his forties. 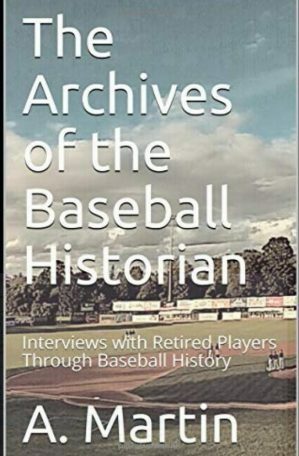 At his suggestion, the first baseball convention of ball clubs met in May 1857 to formalize set rules between clubs and ultimately leading to the formation of the National Association of Base Ball Players. Adams was elected president of the convention and was the first chairman of the Rules Committee. In his leadership positions, Doc played a crucial role in the establishment of several key aspects that make up the game of baseball, which include nine players per team, the nine inning game, ninety feet between bases and catching the ball on the fly to record an out rather than being able to catch the ball on one bounce for an out. In 1862, Adams stepped down from the Rules Committee post and resigned from the Knickerbockers. He left the legendary club as the most significant member in team history, membership that included Hall of Famer Alexander Cartwright. Barnes may have been the most exciting all around player of the 1860s and 1870s. Prior to the establishment of the National Association, Barnes was a star player for the Forest City Club of Rockford, Illinois. In 1871, he joined the Boston Red Stockings of the new professional league and quickly established himself as one of the league’s shining stars. Over the next five seasons, Barnes would lead the league in at least eighteen offensive categories while becoming the National Association’s career leader in runs, hits, doubles, base on balls, stolen bases, batting average and on-base percentage. Barnes, the premier fair-foul hitter, won batting titles in 1872 (.432) and 1873 (.425). Also a defensive standout, Barnes was one of Boston’s “Big Four” that led the Red Stockings to the league championship each year from 1872 to 1875. When the National League was formed in 1876, he became a member of the Chicago White Stockings and led them to the league’s best record. He also led the league in almost every offensive category including batting average, on-base percentage, slugging percentage, runs, hits, doubles, triples and total bases. After the 1876 season, he was never the same player. Both an illness, limiting Barnes to just 22 games in 1877, and the banning of the fair-foul hit were contributing factors in his demise. He finished his career by playing in the International Association in 1878, followed by two seasons as a shortstop for Cincinnati in 1879 and Boston in 1881. Born in Memphis, Tennessee and raised in Chicago, Illinois, Robert Lee Caruthers was among the greatest all-around players of his day. He was an outstanding pitcher with a deceptive right-handed delivery and a hard-hitting outfielder who had a solid reputation as a defensive player and a base runner. Before signing with the St. Louis Browns of the American Association in 1884, Caruthers played for Grand Rapids (1883) and Minneapolis (1884) of the Northwestern League. The 5’4”, 140 pound twenty-year-old made his major league debut for the Browns on September 7, 1884 and went 7-2 in 13 games to close out the season. In 1885, he teamed with Dave Foutz to lead the Browns to the pennant, going 40-13 and leading the league in wins, winning percentage (.755) and ERA (2.07). After the 1885 season he went to Paris, France and became engaged in a trans-Atlantic salary dispute with Browns’ owner Chris Von der Ahe, earning his nickname “Parisian Bob” and settling for a $3,200 salary. The Browns won the pennant again in 1886 with Caruthers going 30-14 with a 2.32 ERA (second in the league) while hitting .334, slugging .527 and leading the league with .448 on-base percentage. The 1887 season was much of the same with a pennant, a 29-9 record and a league-leading .763 winning percentage, at the same time hitting .357, slugging .547, scoring 102 runs, stealing 49 bases and getting on base with a .463 percentage. After the season in a Von der Ahe shakeup, Caruthers was traded to Brooklyn were he would play for four seasons, winning 29, 40, 23 and 18 games, respectively, while contributing to pennant winners in 1889 and 1890, Brooklyn’s first season in the NL. In 1892, he went back to the Browns, now a NL team, and played primarily in the outfield, having career highs in games (143), at bats (513), hits (142) and walks (86). The 1893 season was his last in the majors, playing briefly for the Chicago Colts and the Cincinnati Reds. He finished with a 218-99 record, an ERA of 2.83 and a .391 OBP for his career. He continued playing in the minors until 1898 before becoming an umpire. He was an American League umpire in 1902 and 1903. Known as “Bad Bill” for his extreme temper, Dahlen played for 21 seasons and is considered one of the great defensive shortstops in baseball history. With excellent range and a tremendous arm, he set numerous fielding records. It has been almost 100 years since Dahlen last put on the uniform as a player and yet he is still among the all-time leaders at shortstop in games played, assists and putouts as well as errors. As a hitter, Dahlen was among the best hitting shortstops of his era and had excellent power. In his career, five times he finished in the top seven in home runs and when he retired, only Herman Long had more homers as a shortstop. He also led the league in RBI in 1904 with 80 and finished in the top nine three other times. His career offensive numbers include 1,589 runs, 2,457 hits, 413 doubles, 163 triples, 84 home runs, 1,233 RBI, 547 stolen bases and 140 hit by pitches. In 1894, Dahlen hit in 42 consecutive games to set a major league record which has since been surpassed but is still fourth best in history. Dahlen played his entire career in the National League, playing for Chicago, Brooklyn, New York and Boston. Dahlen’s fiery style of play was a key factor in the success of the teams he played on, including NL championships in 1899 and 1900 with Brooklyn and 1904 and 1905 with New York. New York went on to win the World Series in 1905. Dahlen appeared on the Hall of Fame’s 2009 Veterans Committee ballot for pre-1943 players but failed to gain election. Considered by many historians as the greatest defensive shortstop of the Nineteenth Century, “Pebbly Jack” played the majority of his career without a glove. He received his nickname for his dutiful inspection of the field for pebbles and tossing them away to avert bad hops during the game. He led the league in fielding percentage and assists six times, double plays four times, putouts two times and had the most range of any shortstop of his era. He retired as the career leader for shortstops in games, assists, double plays, putouts, total chances and fielding percentage. At the bat, he got better with age. A career .290 hitter, he led the National League in hits in 1889 and 1890, winning the 1890 batting title with a .336 average after finishing second the previous year with a .352 average. He finished his career with 1,163 runs, 2,040 hits and more than 825 RBI. Striking out just 196 times in his career, Glasscock was also one of the toughest hitters to strikeout, leading the league three times in at bats per strikeout. The “King of Shortstops” played for nine teams in seventeen years, including a brief stint in the Union Association. He continued playing in the minors until 1901. Gore was a speedy center fielder that had the knack for getting on base and scoring runs. In 1,310 games, “Piano Legs” scored 1,327 runs, including seven seasons of 100 or more and two other seasons of less than 100 but leading the league. He was a hard hitter that also took a walk, leading the league in bases on balls three times and finishing in the top seven in on-base percentage ten times. In 1880, he led the NL in batting average (.360), on-base percentage (.399) and slugging percentage (.463). Gore retired a .301 career hitter with a .386 on-base percentage. On defense, he was talented with a good arm but at times was not focused rendering himself an average fielder at best. His prowess at the plate kept him on the field. He was the table setter for many championship teams. He played on NL championship teams in 1880, 1881, 1882, 1885, 1886 with Chicago and world championship teams with the New York Giants in 1888 and 1889, beating the American Association pennant winners while batting .455 and .333 respectively. On June 25, 1881, Gore stole seven bases in a single game, a record he shares with Billy Hamilton. Hines, an outstanding defensive center fielder, was among the best all-around players in the game for 20 seasons. He started his professional career with Washington of the National Association before becoming a member of the Chicago White Stockings in 1874, playing for the first National League champion in 1876. In 1878, he joined Providence and became baseball’s first triple crown winner when he led the league with 4 homers, 50 RBI and a .358 batting average. He followed his historic season with another batting title in 1879 (.357), while also leading the league in games, hits and total bases as the Grays won their first NL championship. In 1884, along with Old Hoss Radbourn, Hines led the Grays to the NL pennant before defeating New York of the American Association to win the first “World Series.” Hines played for the Grays during their entire existence (1878-1885). He returned to Washington for the 1886 and 1887 seasons before bouncing from Indianapolis (1888 and 1889), Pittsburgh and Boston (1890) and back to play in Washington for the Statesmen of the AA in 1891. Hines finished his career with 1,217 runs, 2,134 hits, 549 extra-base hits, 855 RBI and a .302 batting average. Born in Ireland, Mullane won 284 games in thirteen major league seasons. Nicknamed the “Count” and the “Apollo of the Box” for his good looks and polished appearance, Mullane was a popular player who was often called to pitch on “Ladies’ Day” to get more fans to the field. He was a right-handed thrower who occasionally pitched from the left side as one of the few ambidextrous pitchers in baseball history. After a brief five-game stint in 1881 with the Detroit Wolverines of the National League, Mullane joined Louisville of the American Association the following season. Mullane won 30 games with a 1.88 ERA in over 460 innings pitched for the second place Eclipse. In 1883, he joined the St. Louis Browns and led them to a second place finish in the AA, winning 35 games with a 2.19 ERA. After flirting with playing for the St. Louis Maroons of the Union Association, despite being under contract with the Browns, he ended up in Toledo of the AA in 1884. He led the mediocre Blue Stockings with 36 wins, 325 strikeouts and 567 innings pitched. Mullane’s revolving finally caught up with him in 1885. Toledo folded and he became property of St. Louis once again. Mullane decided to sign and play with Cincinnati instead. For his actions, Mullane was suspended for the entire 1885 season which ultimately cost enough wins to leave him short of 300 victories. In 1886, he joined Cincinnati and stayed with the team until June 1893, when he was traded to Baltimore. With the Red Stockings (team changed their name to the Reds when they joined the NL in 1890), Mullane won 20 or more games five times, including 33 in 1886 and 31 in 1887 even though the Reds were usually in the bottom half of the standings. In 1892, he left the team to protest his salary being cut which cost him a few more wins. Mullane was a fine all around player who played the field in over 200 games when he didn’t pitch and hit a respectable .243 for his career, scoring over 400 runs and stealing over 100 bases. He played minor league ball as late as 1902. Richard John “Dickey” Pearce was the first great shortstop in baseball history. He revolutionized the game both on the field and at the plate. Born in Brooklyn, New York, Pearce changed the way the shortstop position was played. Prior to Pearce, shortstops were rovers that primarily backed up throws and handled relays from the outfield. Pearce positioned himself on the field according to the hitter at the plate. He would play in against weak hitters and back against stronger batsmen. He was known for his range, sure hands, accurate throwing arm and his “headwork”, displaying great judgment as the field general. He also played catcher and was one of the first to give signals to the pitcher concerning the location of a pitch. At the plate, he was a “scientific” hitter who was primarily a leadoff hitter. He has been credited with inventing the bunt, the fair-foul hit and possibly the sacrifice bunt and the squeeze play as well. Dickey was considered a place-hitter, who tried hitting the ball according to the other team’s defensive placement on the field. He was a short, stocky man, standing less than five feet, four inches tall and weighing 150 plus pounds. Despite his size, he was fast enough to beat out bunts and score lots of runs. Pearce’s greatest seasons were with the legendary Atlantics of Brooklyn teams that dominated the late 1850s and 1860s. The Atlantics were the National Association of Base Ball Players champions for the years 1859-1861, 1864-1866 and 1869. Pearce played in the game on June 14, 1870 when the Atlantics defeated the Cincinnati Red Stockings, ending the Red Stockings 89 game winning streak. Pearce was considered one of the first professionals, probably receiving payment for play in the early 1860s. 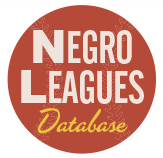 When the Atlantics decided to join the National Association of Amateur Base Ball Players after the 1870 season, Pearce along with teammates Bob Ferguson, Charlie Smith and Joe Start signed with the New York Mutuals of the National Association. He played two seasons in New York, including 16 games as the manager in 1872, before heading back to Brooklyn. In 1875, he jumped to the St. Louis Brown Stockings, where he played in the National League’s inaugural season. After his major league playing career was over, he continued to play semi-pro and minor league ball, did some umpiring and was even a groundskeeper. Pearce’s contribution to the game cannot be measured by his statistical numbers in the NA and NL. He was one of the game’s true pioneers. Stovey was a great all-around player and one of the game’s first power hitters. He finished in the top four in home runs ten times, leading the league in five of those seasons. In 1883, he set the single season record with 14 homers. When he retired in 1893, he was the all time leader in home runs with 122 and was third on the list as late as 1920. Stovey’s other offensive numbers include 347 doubles, 174 triples, 908 RBI, over 500 stolen bases (records are not available for six of his seasons so he may have stolen more than 800 bases) and 1,492 runs in 1,486 games, including nine seasons of 100 or more runs. Besides home runs, he led the league in over twenty other offensive categories, including extra-base hits five times, runs scored and triples four times, slugging percentage and total bases three times, stolen bases twice and RBI once. Stovey’s first three seasons were with Worcester of the National League. In 1883, he became a member of the Philadelphia Athletics of the AA, spending seven seasons with the team which included the pennant that first season and four seasons hitting .300 or better. In 1890, he joined the Boston Reds of the Players League and led them to the pennant. He then spent the next three seasons playing for the Boston Beaneaters (1891 and 1892 NL champion), Baltimore Orioles and the Brooklyn Grooms.